Summer is coming. Some students will travel or go home while others will remain on campus. 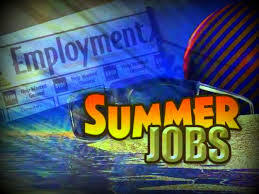 Summer is a good time not only for travelling and rest but also it is a good period to earn extra money. Summer job is a great way to get more experience. • Babysitter. It is really good job as you may practice your skills in taking care of children. Moreover, such job is very easy to find as there are always many families with small children in the neighborhood. As parents often want the best babysitter, this job will be among the best-paid ones. • Bartender. Many students find this job as cool and interesting. It is a good idea to be a bartender, but it requires some professional skills and the endurance to work all night long. Not all students are able to become bartenders. • Freelance writer. The job of freelance writer is really good for students. Working as a writer, you will acquire more professional writing skills which will help you in the next academic year. Also this job is well-paid. It is a good opportunity to get more professionalism and earn extra money. • Fitness trainer. Today, there are many vacancies for fitness trainers. It is a healthy and interesting job which will help you look fit. Summer jobs are really necessary for students as they learn how to earn money starting from college years and this will bring good results in future.